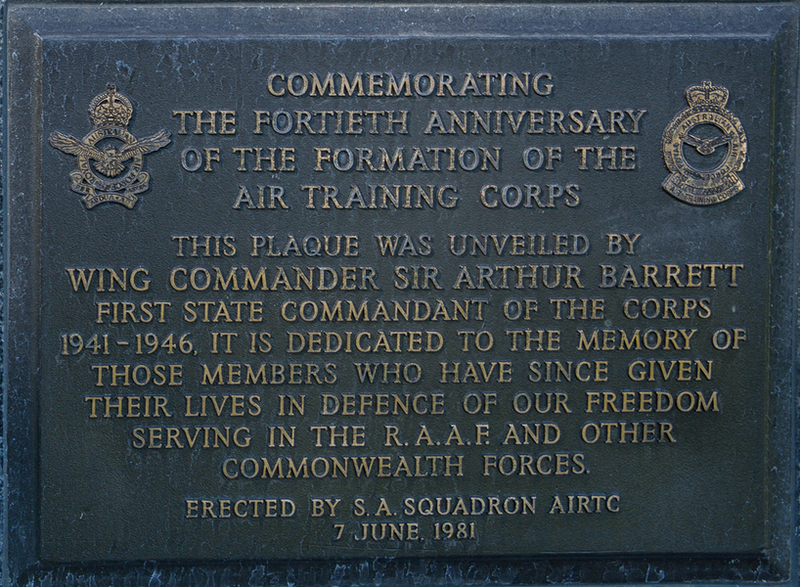 Note live links exist in the text of the 'ToH Description panel. Clink on these to take you to the unit page. 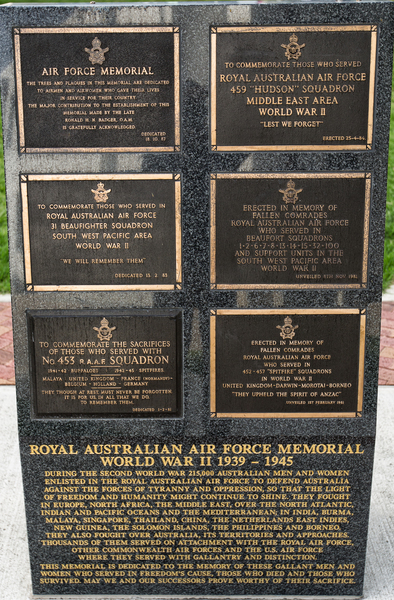 PLEASE NOTE - The Memorial Plaques listed below, formerly located at Adelaide Airport, have all been re-located to the northern fringe of the Torrens Parade Ground, Victoria Drive, Adelaide where the Royal Australian Air Force Association (RAAFA) is now located The plaques form part of a consolidated RAAF suite of memorials. 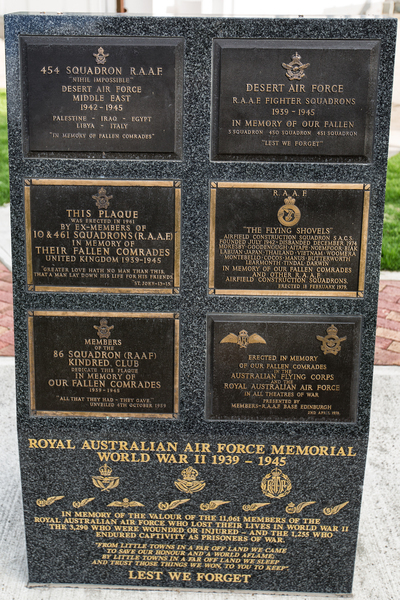 Each plinth is double sided and carries a dedication on each side at the base. 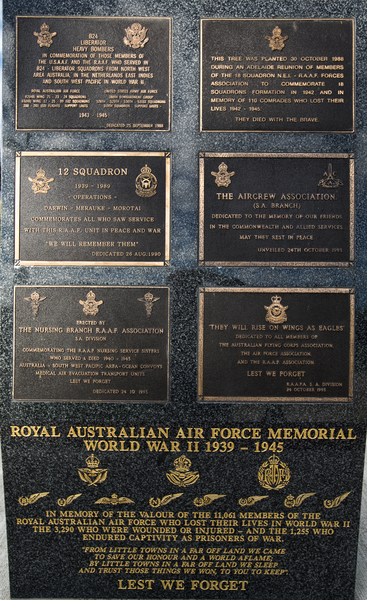 Above are mounted six plaques, on each side making a total of 36 in all, being those originally located at the Adelaide Airport. 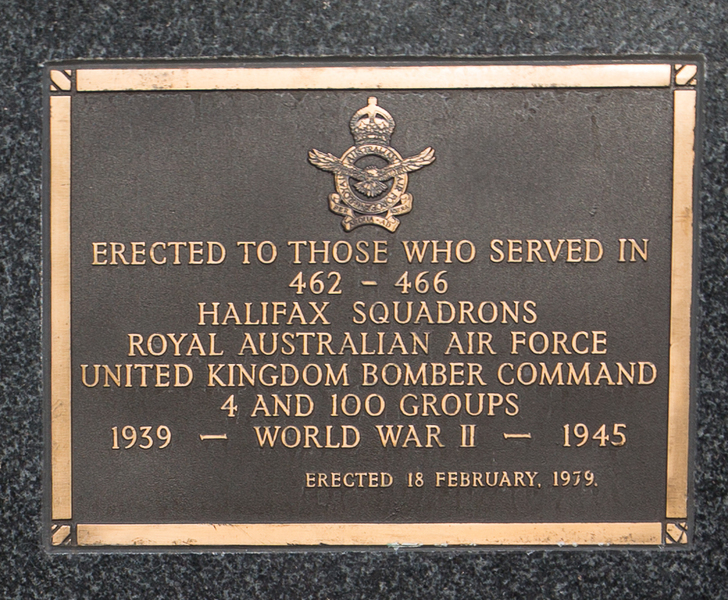 The Memorial is approached from the Parade Ground on a path at the 'six o'clock' position. 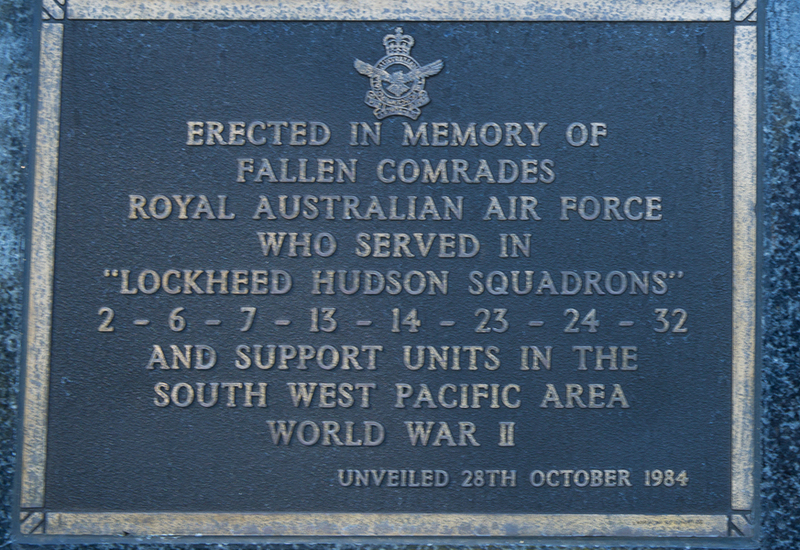 The plinth on the observer's left at '8 o'clock' is described as Plinth No 1, the face towards the observer as side (a) and the reverse as (b). Proceed clockwise to plinths 2 (the 12 o'clock' position) and 3 (the 4 0'clock position) respectively. 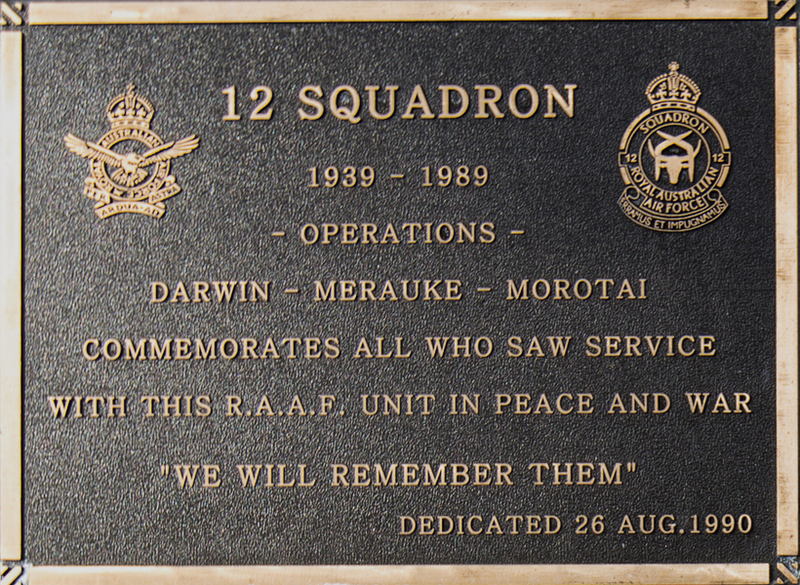 On the listing below is a live link that will take the user to a squadron history. 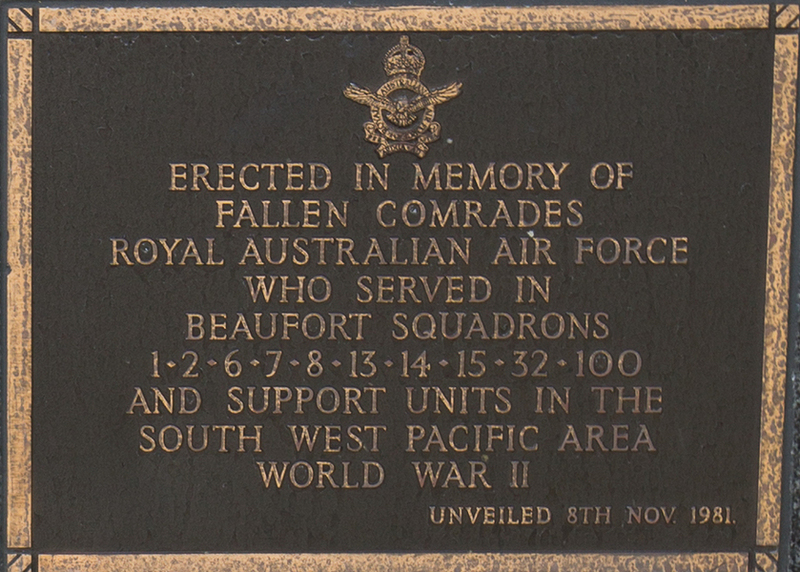 This will eventually link to the names of personnel who served in those units as this site develops. 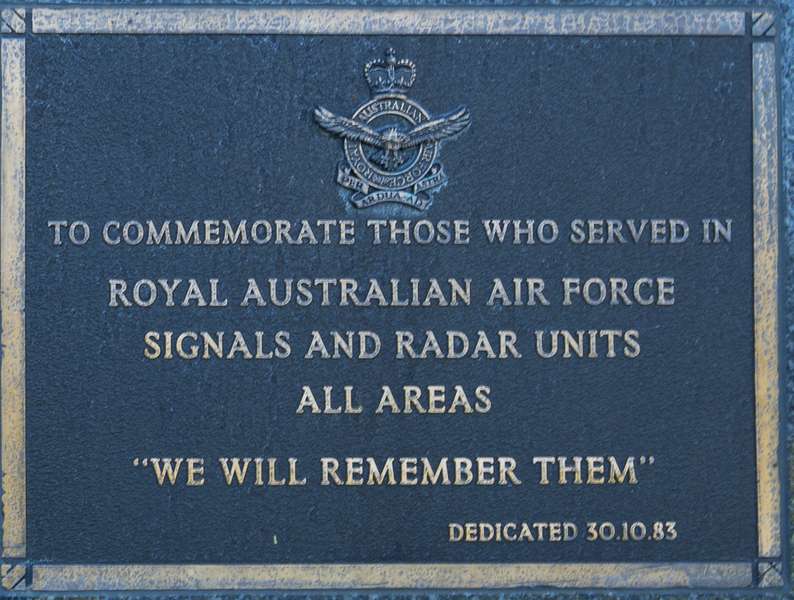 Where a live link exists below, you can simply click on the link to go to the unit/s web page.
" 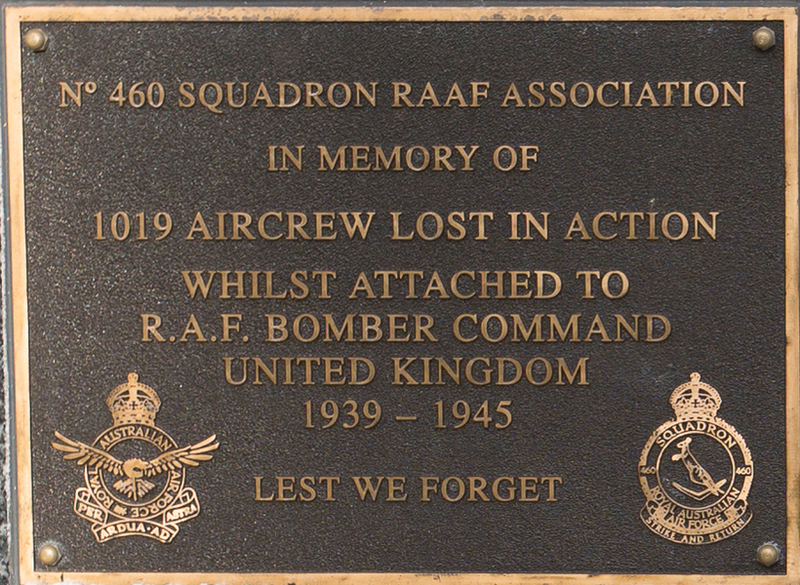 WE WILL REMEMBER THEM"
TO COMMEMORATE THE SACRIFICES OF THOSE WHO SERVED WITH NO 453 R.A.A.F. 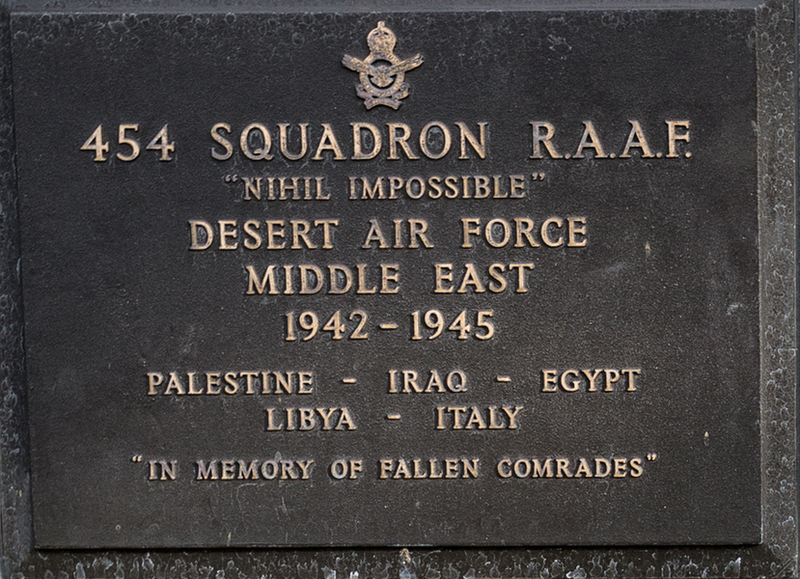 SQUADRON 1941-42 . 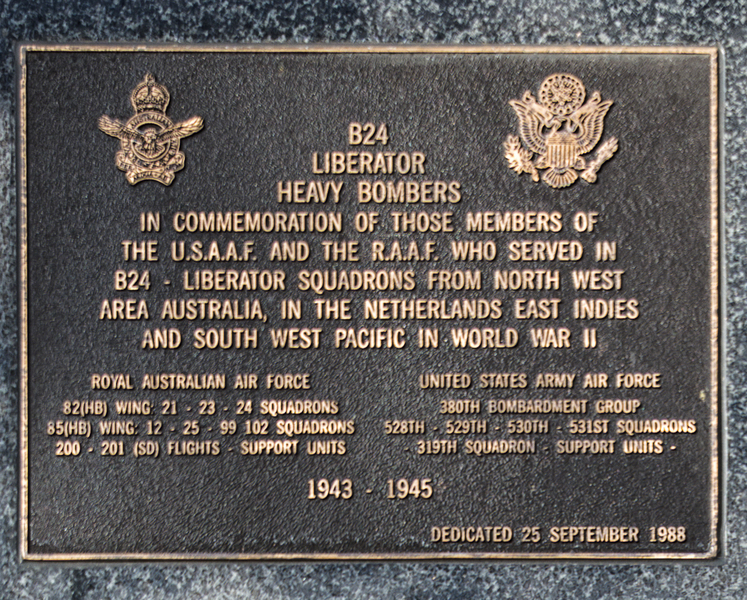 BUFFALOES : 1942-45 . 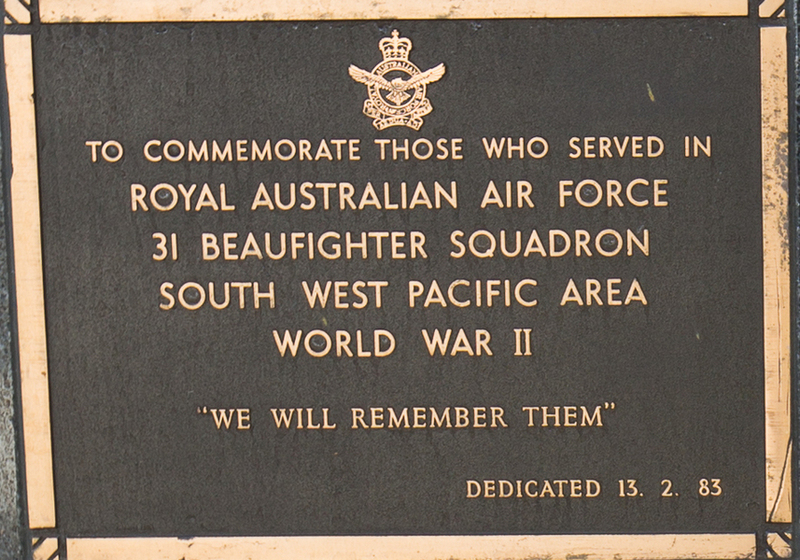 SPITFIRES. 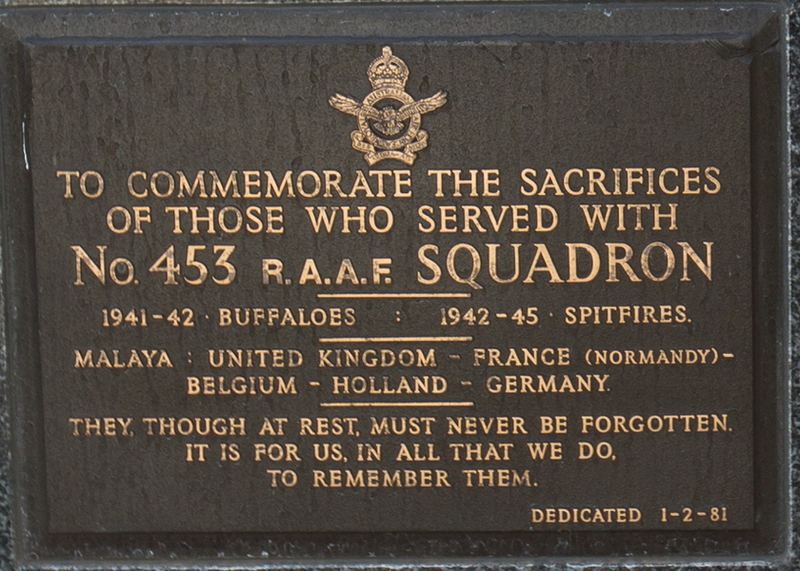 MALAYA-UNITED KINGDOM-FRANCE (NORMANDY)- BELGIUM- HOLLAND-GERMANY. 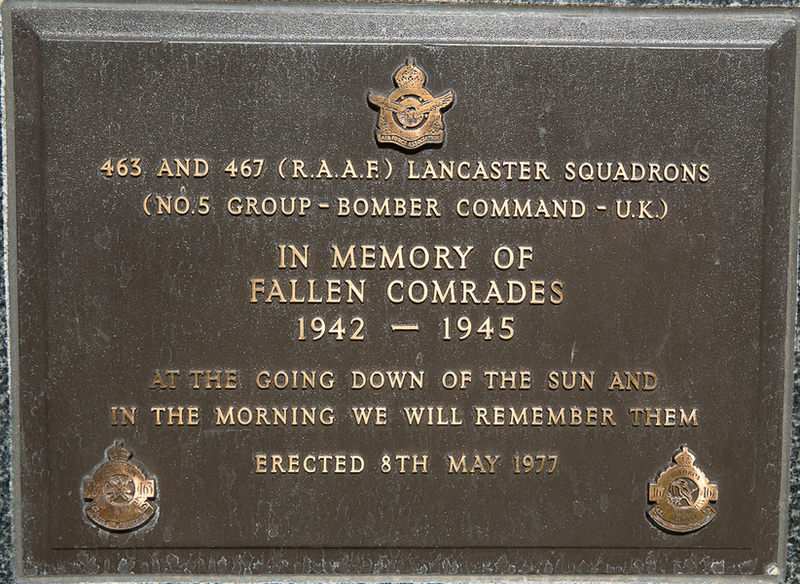 THEY, THOUGH AT REST, MUST NEVER BE FORGOTTEN. 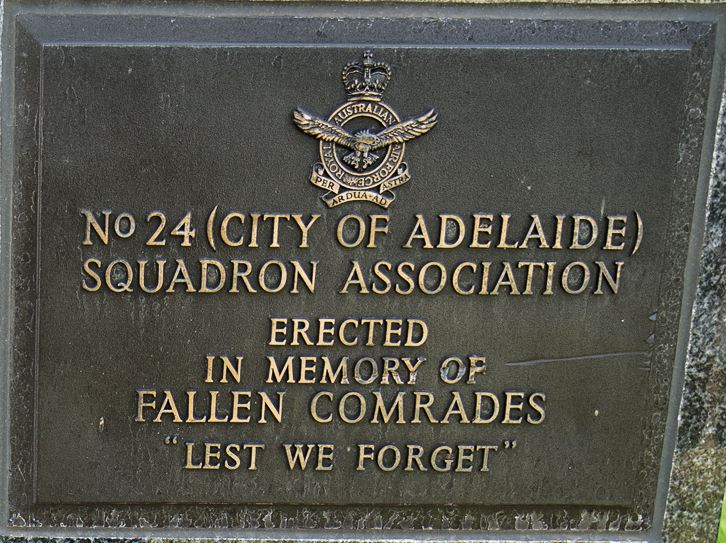 IT IS FOR US, IN ALL THAT WE DO, TO REMEMBER THEM. 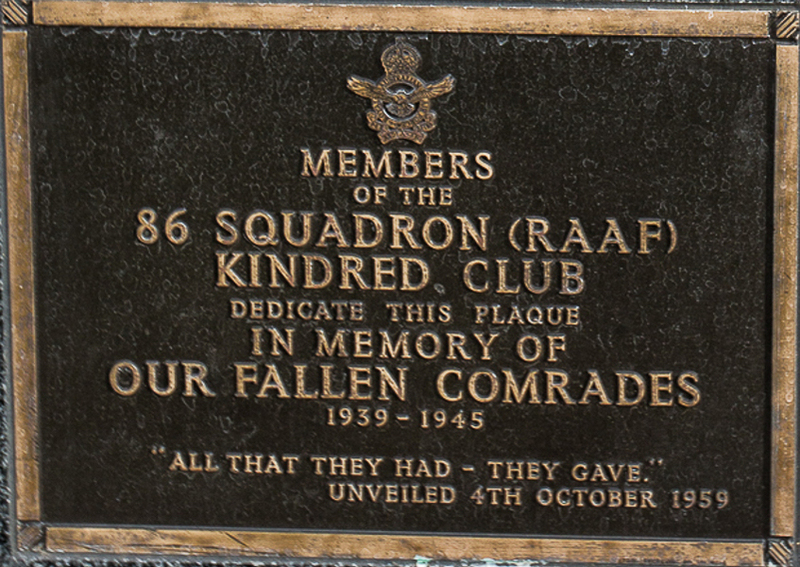 "IN MEMORY OF FALLEN COMRADES"
MEMBERS OF THE 86 SQUADRON (RAAF) KINDRED CLUB DEDICATE THIS PLAQUE IN MEMORY OF OUR FALLEN COMRADES 1939-1945 "ALL THAT THEY HAD-THEY GAVE." 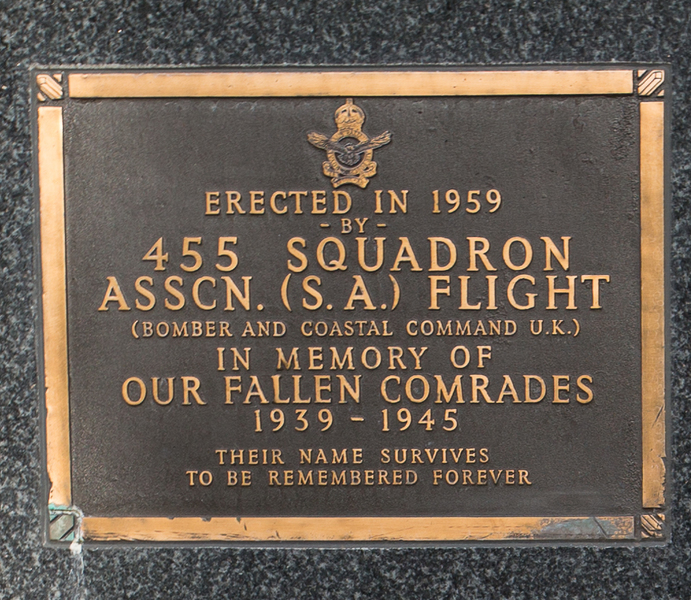 ERECTED IN 1958 458 SQUADRON (S.A. 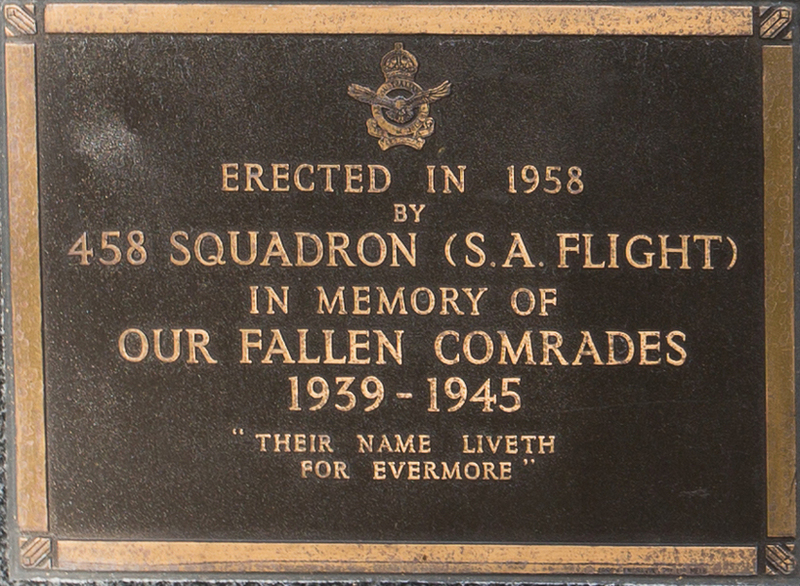 FLIGHT) IN MEMORY OF OUR FALLEN COMRADES 1939-1945 "THEIR NAME LIVETH FOR EVERMORE"
SERVED IN SUPPORT OF THE R.A.A.F. 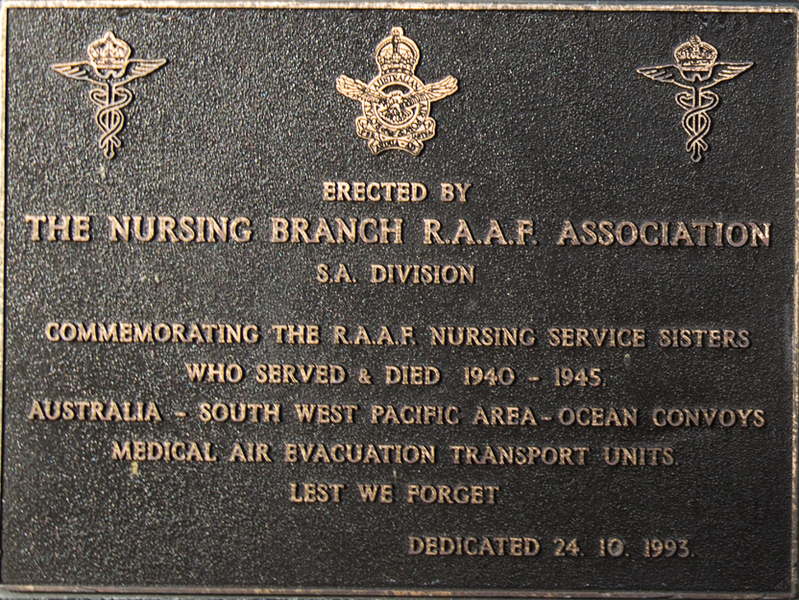 THIS TREE WAS PLANTED 30 OCTOBER 1988 DURING AN ADELAIDE REUNION OF MEMBERS OF THE 18 SQUADRON N.E.I.-R.A.A.F. 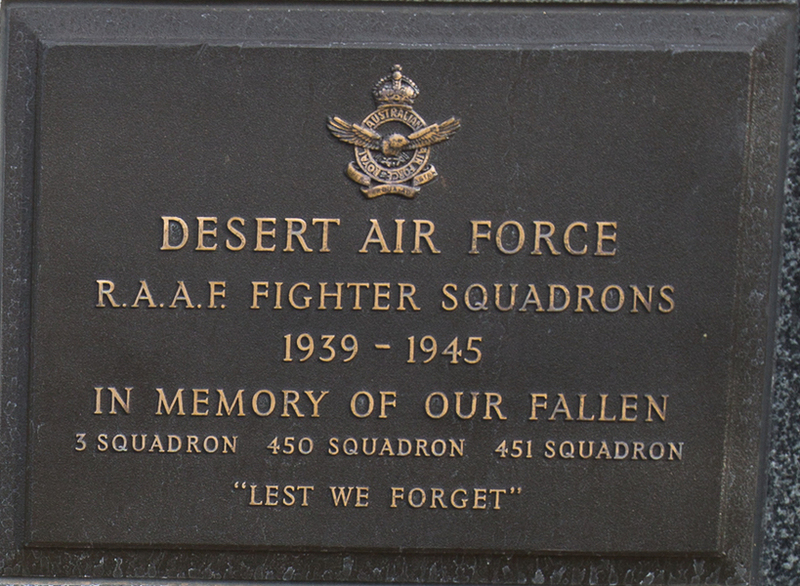 FORCES ASSOCIATION TO COMMEMORATE 18 SQUADRONS FORMATION IN 1942 AND IN MEMORY OF 110 COMRADES WHO LOST THEIR LIVES 1942-1945. 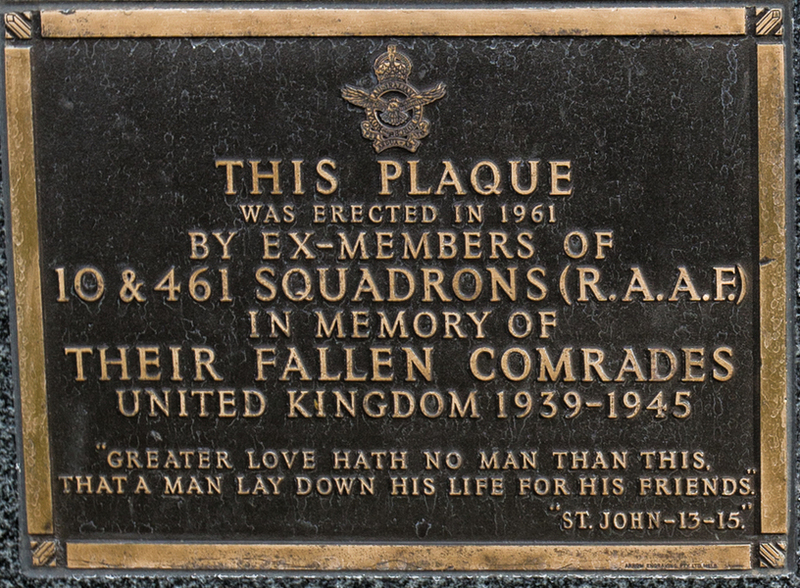 THEY DIED WITH THE BRAVE. 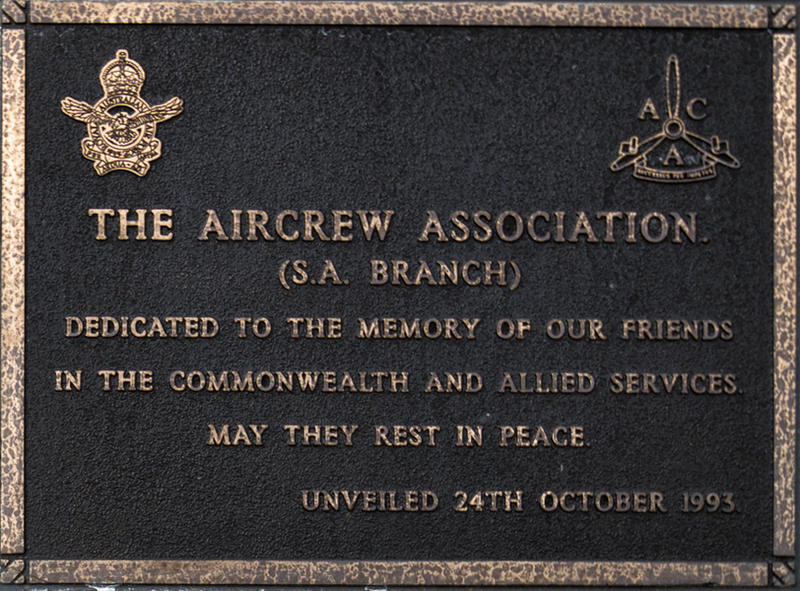 THE AUSTRALIAN FLYING CORPS ASSOCIATION. 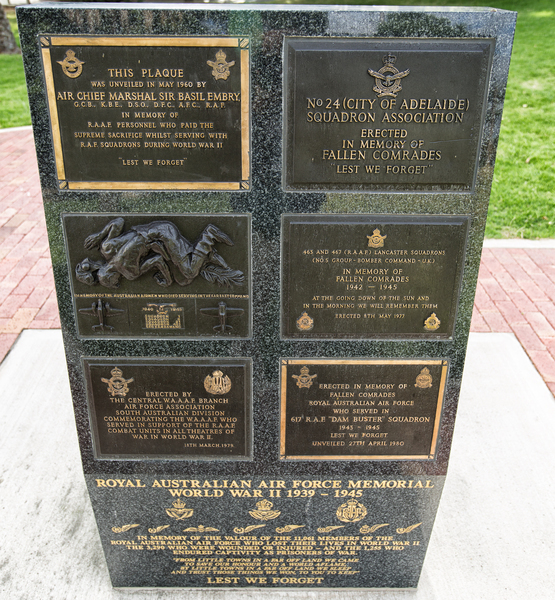 Each plinth is double sided and carries a dedication on each side at the base. 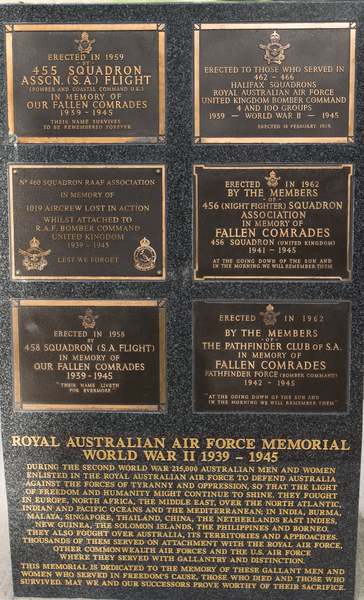 Above are mounted six plaques, being those originally located at the Adelaide Airport. 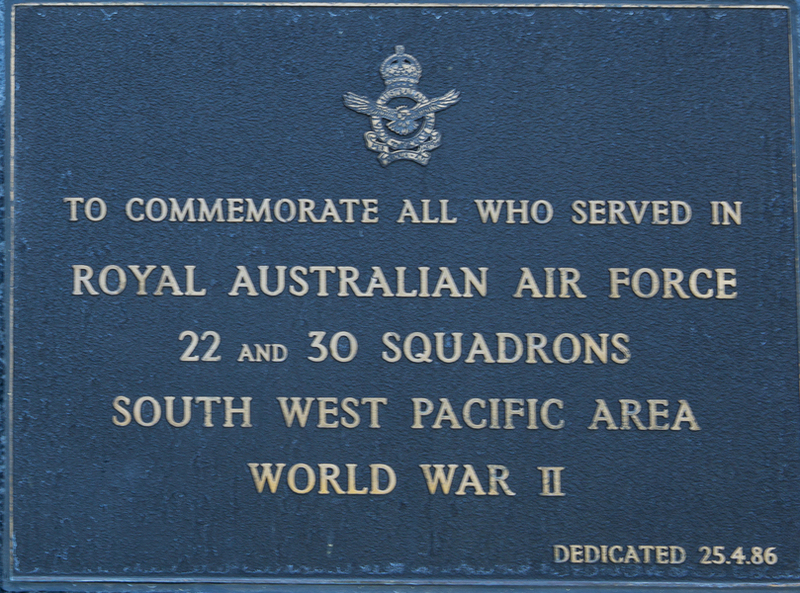 LOCATION: Northern eastern fringe pf the Parade ground near the NW corner of the Drill Hall. 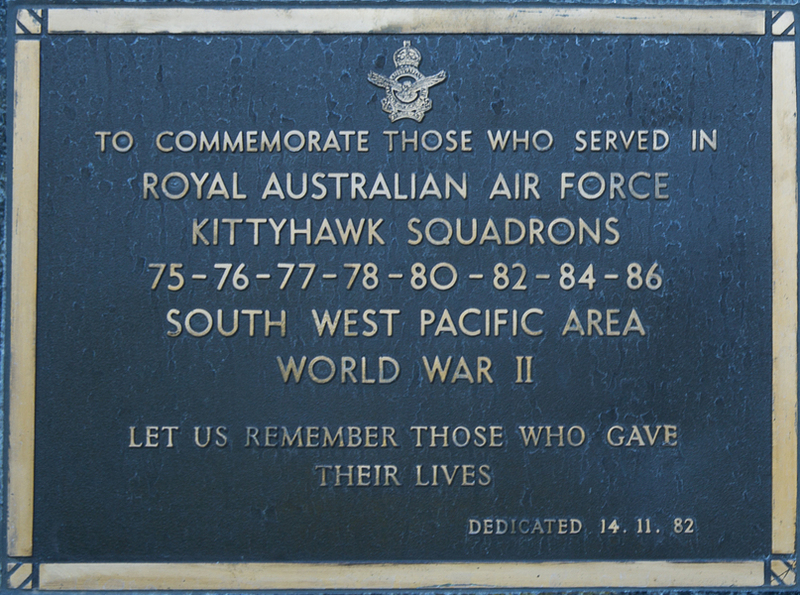 DESCRIPTION: The individual dedications are to be transcribed. 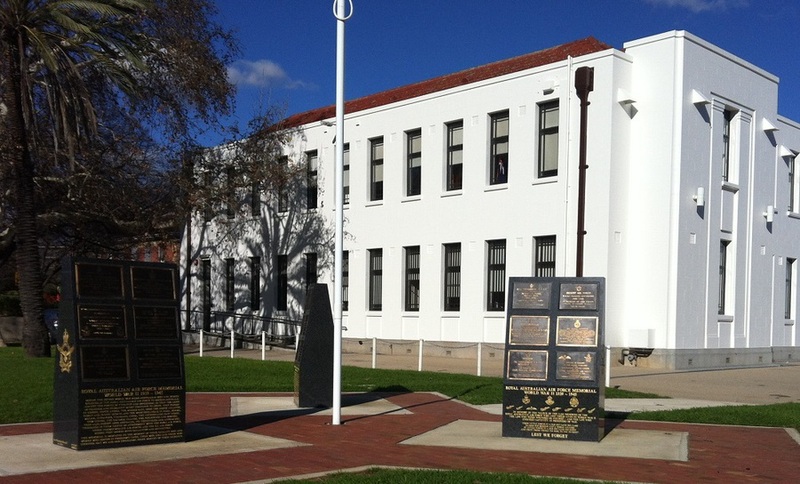 The plinths are descibed respectively as 1, 2 and 3 clockwise the southernmost. 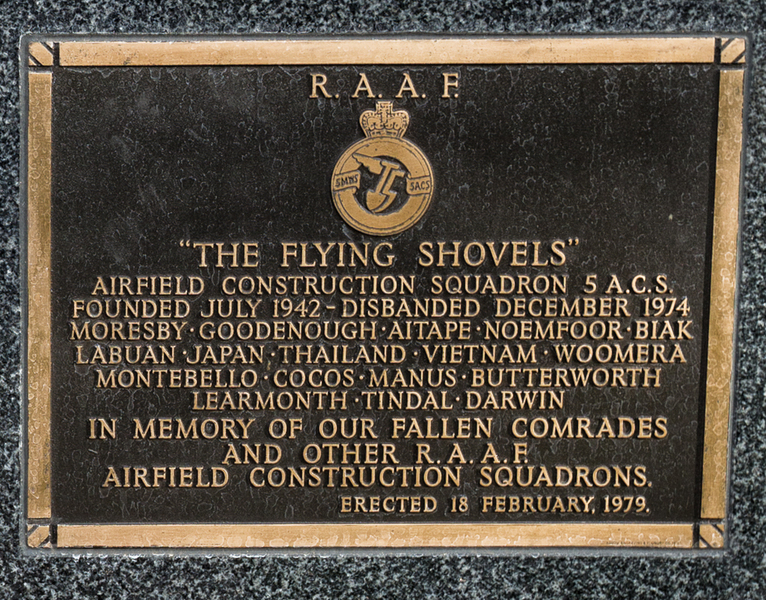 The face of each is described as (a.) 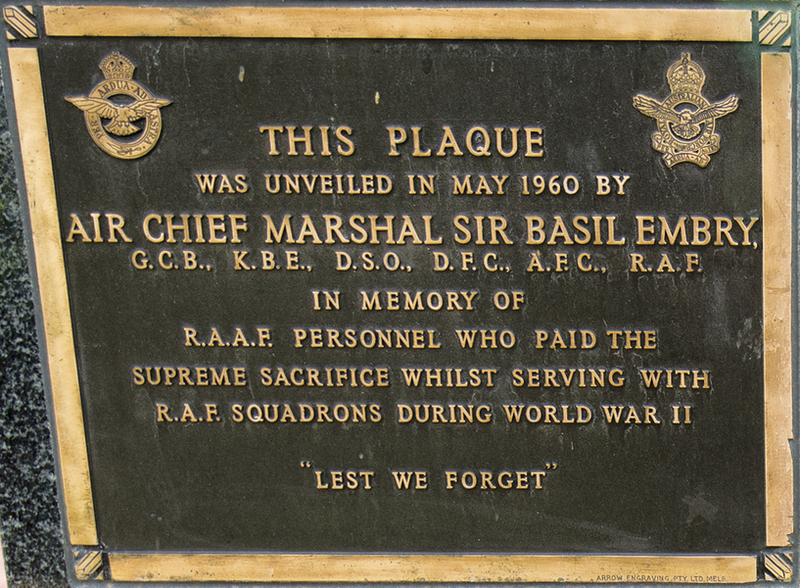 and (b.) again clockwise. 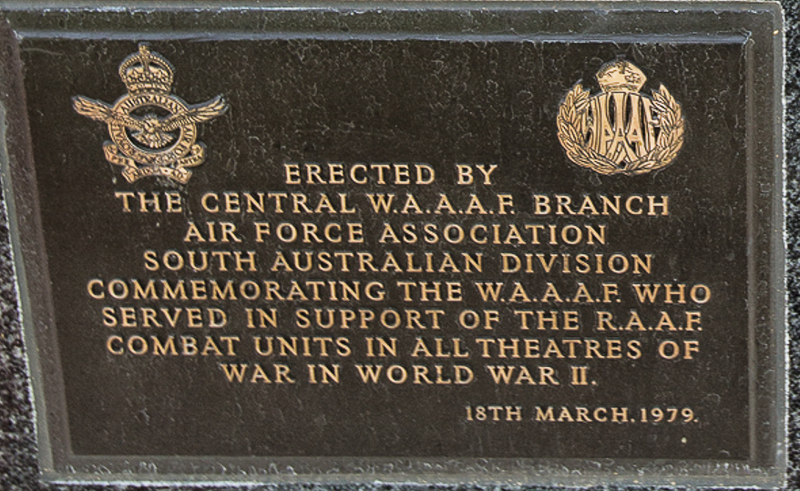 Te dedications are yet to be transcribed but will be posted as that work is completed. 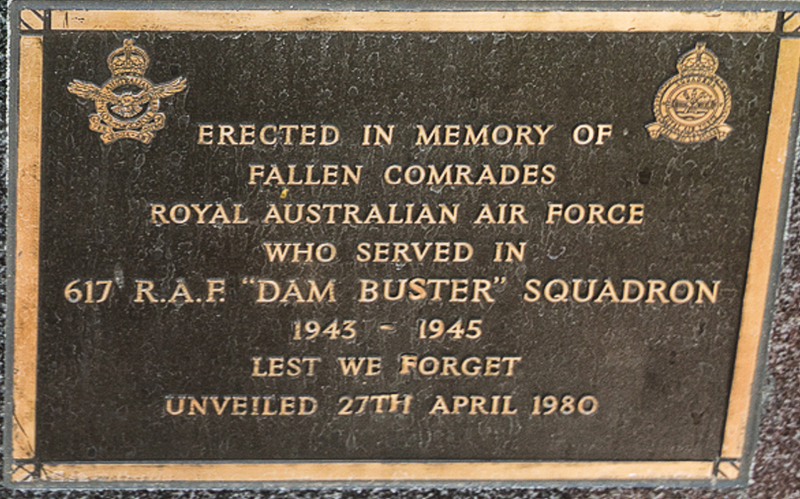 RONALD H. N. BADGER, O.A.M. 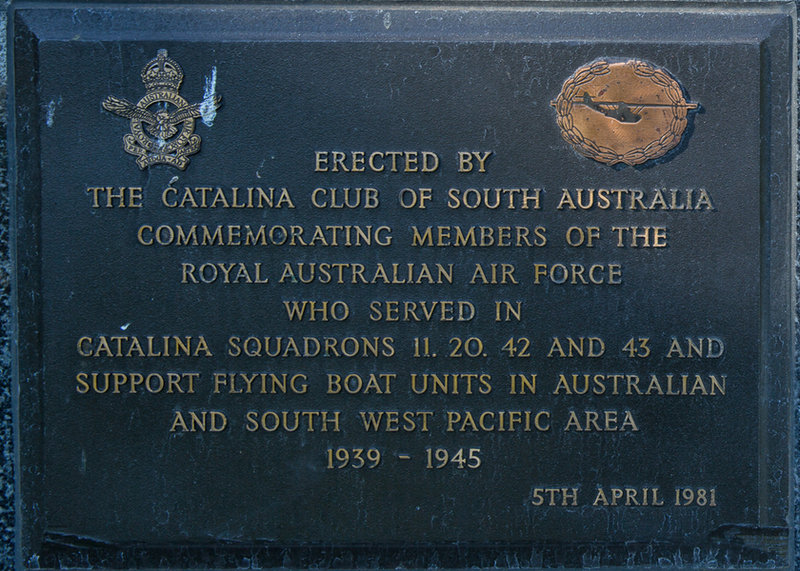 1941-42 . 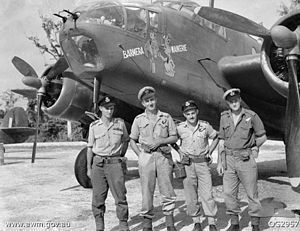 BUFFALOES : 1942-45 . 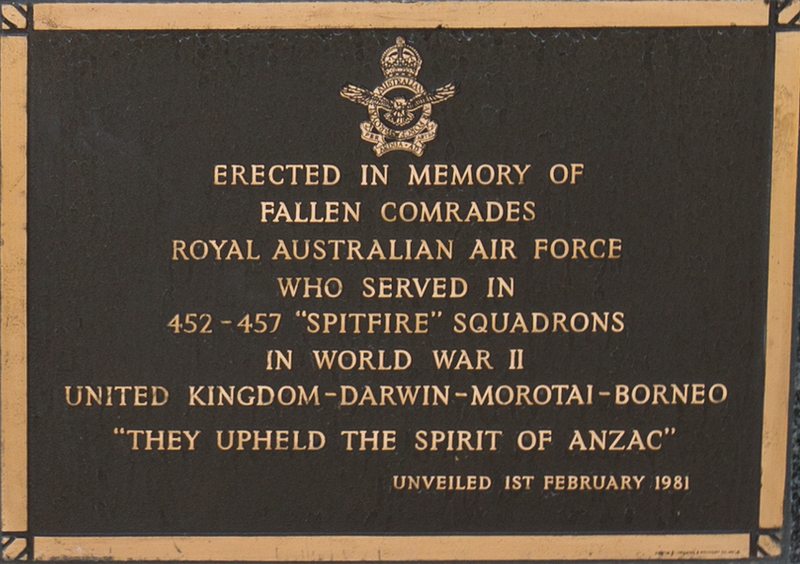 SPITFIRES. 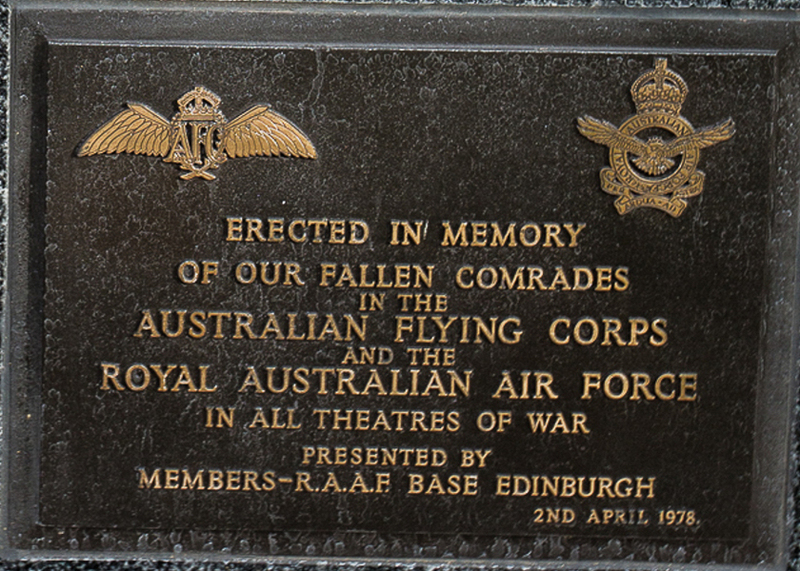 THEY THOUGH AT REST, MUST NEVER BE FORGOTTEN. 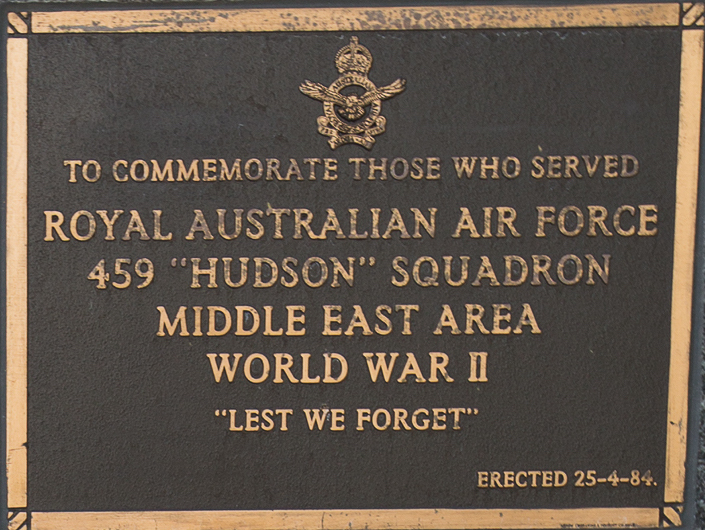 "THEY UPHELD THE SPIRIT OF ANZAC"
3 SQUADRON (/explore/units/709) 450 SQUADRON (/explore/units/387)451 SQUADRON (/explore/units/742)"LEST WE FORGET"
"ALL THAT THEY HAD-THEY GAVE." 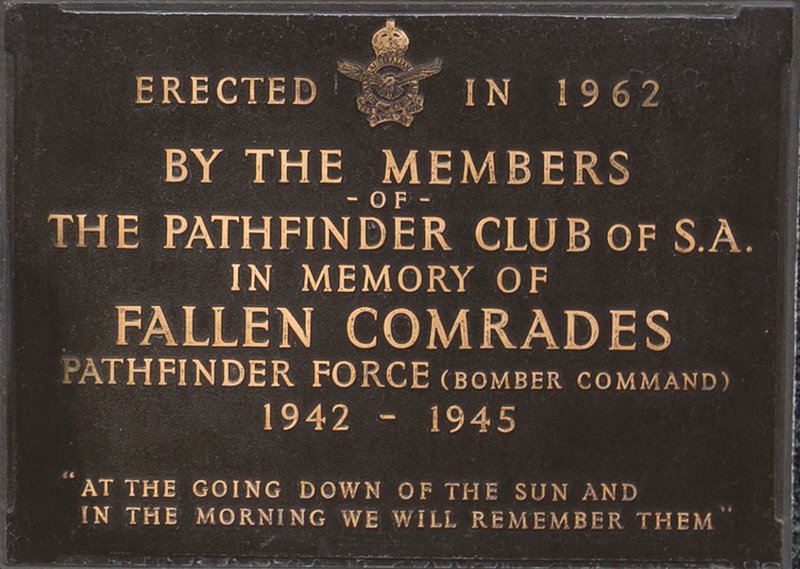 THE PATHFINDER CLUB OF S.A. 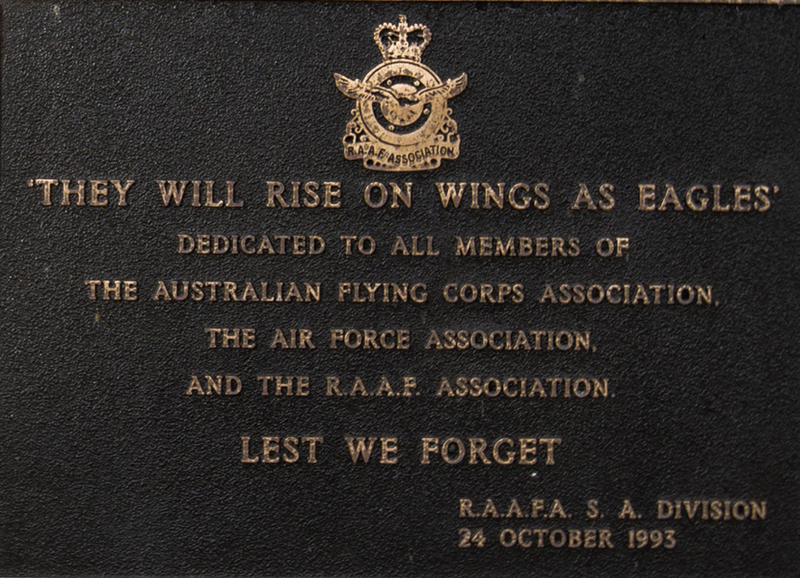 IN THE MORNING WE WILL REMEMBER THEM"
G.C.B., K.B.E., D.S.O., D.F.C., A.B.C., R.A.F. 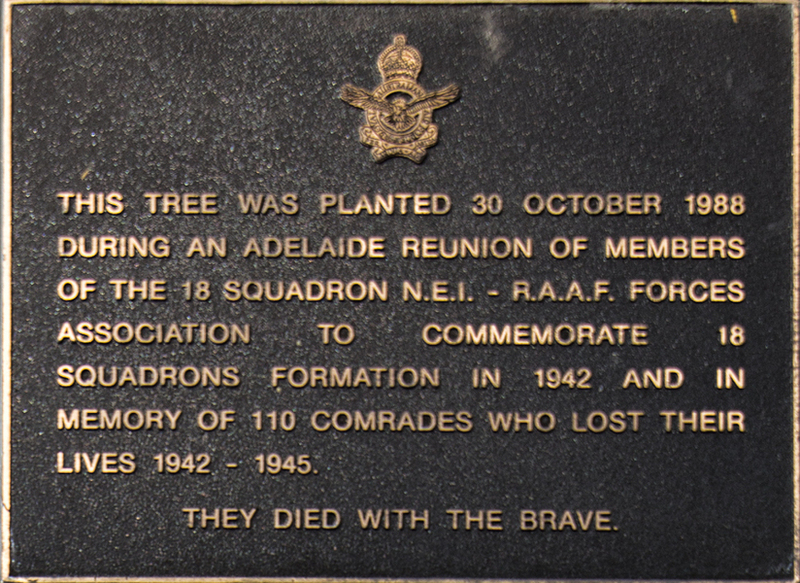 THIS TREE WAS PLANTED 30 OCTOBER 1988 DURING AN ADELAIDE REUNION OF MEMBERS OF THE 18 SQUADRON N.E.I.-R.A.A.F. 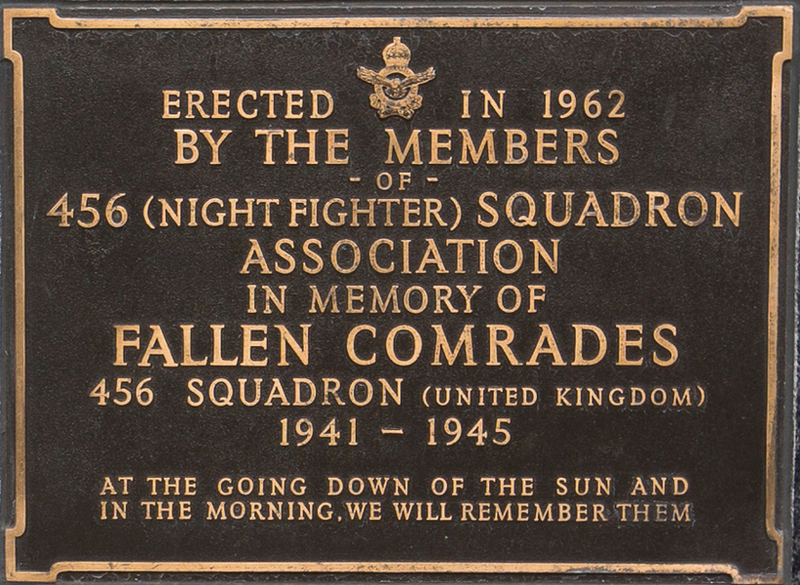 (/explore/units/1873) FORCES ASSOCIATION TO COMMEMORATE 18 SQUADRONS FORMATION IN 1942 AND IN MEMORY OF 110 COMRADES WHO LOST THEIR LIVES 1942-1945. 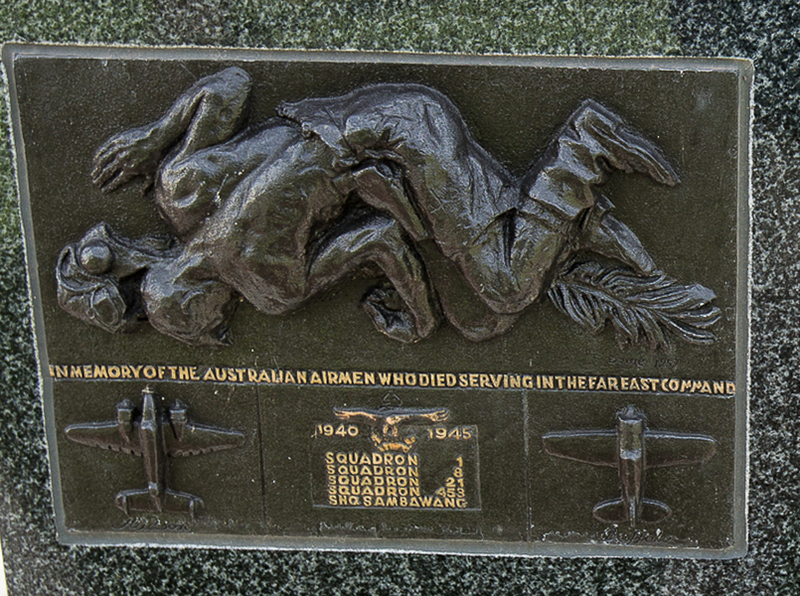 Showing 4 of 43 images.